The Dominican Republic has become the latest country to join the Latin American cinematic renaissance that has been fueling the region for over two decades now. 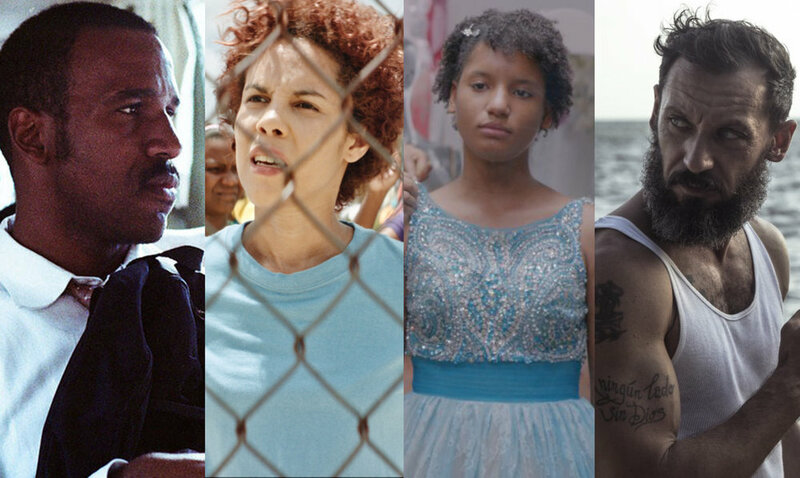 Not only has the Caribbean nation broken all-time film production records—in 2017, a whopping 25 feature films were released in local theaters in a country with a population of 10.6 million—but over the past couple of years Dominican films have been selected for many of the most important international film festivals, including Locarno, Sundance, Karlovy Vary, Toronto, and Tribeca. With all of this and without fanfare, a new generation of young Dominican filmmakers has emerged, breaking new cinematic ground on the island. Dominican film production has increased largely thanks to the 2010 film law, which included aggressive tax incentives both for local and foreign productions, and was able to inject private funds into local cinema, boosting film production. In the course of five years, the Dominican Republic redoubled the total number of films made throughout its history: Between 2011 and 2015, 106 films were made, surpassing the 101 films that were made in the country between 1922 and 2010. As has happened in many Latin American countries experiencing a boost in their film industry, the local mainstream cinema experienced a boom in low-brow comedies of little artistic relevance trying to lure audiences. And yet, similar to other countries in the region, a small group of independent directors has taken a different aesthetic and narrative turn to signal new possible directions for local filmmakers. Spearheading this Dominican cinematic revolution is Nelson Carlo de los Santos Arias with his milestone feature film Cocote. With diverse and eclectic influences—from the films of Brazilian director Glauber Rocha to the fiction of Chilean-born Roberto Bolaño—de los Santos Arias’ rapturous crime fable premiered last year at the Locarno Film Festival, where it was awarded the prize for Best Film in the Signs of Life competition, arguably the highest honor ever received by a Dominican production. An artistically ambitious and accomplished film, mixing film formats, colors, and aspect rations, Cocote follows Alberto, an evangelical Christian who works as a gardener and who suffers a religious and cultural clash as he returns home to attend his father’s funeral. When Alberto finds out that a powerful local figure killed his father, he realizes that he’s been summoned by his family to avenge the murder. Following its Locarno win, the film played in numerous festivals, including New Directors/New Films, Toronto, San Sebastián, Rotterdam, Miami, and Mar del Plata, where it won the award for Best Latin American Film. Cocote was theatrically released last week in the U.K. to critical acclaim—“Accomplished, intense, disquieting” wrote The Guardian—and it opens this Friday, August 3, at the IFC Center in New York City. CalArts graduate de los Santos Arias had already started making waves with his auspicious debut feature film Santa Teresa and Other Stories / Santa Teresa y otras historias, winner of the Cinema Tropical Award for Best First Film. In his experimental non-fictional film, the Dominican ﬁlmmaker extrapolated from Chilean author Roberto Bolaño’s unﬁnished, posthumously published novel 2666 to explore a multiplicity of perspectives and voices in the fictional Mexican town of Santa Teresa riven by bloodshed, a stand-in for Ciudad Juárez. The film had its world premiere at FIDMarseille and went to play in numerous film festivals including Toronto, New York and Mar del Plata. The pioneers of the Dominican indie scene are the directorial duo Laura Amelia Guzmán and Mexican-born Israel Cárdenas. Their second feature film, Jean Gentil (2012), opened the door for a different type of cinema, marking a big contrast to the silly comedies that had become a staple of the booming mainstream Dominican cinema. Mixing fiction and non-fiction techniques, Jean Gentil follows a Haitian man who recently lost his job as a French teacher and begins a desperate search for work in Santo Domingo. Guzmán and Cardenas found international acclaim with their 2014 release Sand Dollars, starring Geraldine Chaplin as an older European woman who becomes captivated with Noelí, a young Dominican woman struggling to make ends meet, with whom she establishes a romantic relationship. A New York Times critics’ pick, the film premiered at the Toronto Film Festival and participated as an official selection at several prestigious international film festivals, including Miami, Palm Springs, Rome, and Cairo, receiving numerous awards, including for best actress at the Chicago and Havana film festivals. In 2017, Guzmán and Cárdenas premiered the boxing drama Sambá (from the English ‘sand bag’) at the Tribeca Film Festival, about Cisco, a man who returns to the Dominican Republic after 15 years in an American jail. Facing family problems, he turns to illegal street fighting to earn easy cash, and is discovered by an Italian ex-boxer. Last year, the directorial duo also premiered their experimental documentary Noelí Overseas / Noelí en los países at the Visions du Reel film festival in Switzerland, a portrait of Yanet Monica, the young actress who played the role of Noelí in Sand Dollars, as she travels in Europe for the first time. Guzmán and Cárdenas are currently shooting their most recent production, Beauty Kingdom / Reinado de belleza. Another of the most visible Dominican films in the 2017 film festival circuit was Woodpeckers / Carpinteros by José María Cabral. The film had its world premiere in the official World Cinema Dramatic Competition at Sundance, and enjoyed a successful film festival run. Starring Jean Jean and Judith Rodríguez Pérez, the film follows a man who is sent to prison for petty theft and finds love with a female inmate in an adjacent penitentiary, but the two must communicate in secret using sign language. More recently—just few weeks ago—the directorial duo Natalia Cabral and Spanish-born Oriol Estrada had a successful world premiere of their fiction debut feature, Miriam Lies, in the official competition at the Karlovy Vary Film Festival. The film, an understated coming-of-age drama of racial politics, follows the adolescent Miriam, who meets her internet boyfriend. While her family and friends prepare a traditional fifteen birthday party for her, Miriam doesn’t know how to explain to them that her boyfriend is black. Cabral and Estrada had already shown their talent with their documentary films You and Me / Tú y yo (2014) and El sitio de los sitios / Site of Sites (2016), which was screened at the Neighboring Scenes festival at the Film Society of Lincoln Center in New York and was included in Cinema Tropical's list of best of the year films. Other noteworthy Dominican films and filmmakers are the social drama El hombre que cuida / The Watchman, the debut feature film by Alejandro Andújar—winner of the Yellow Robin Award at the Curaçao International Film Festival Rotterdam 2018—about a watchman in a luxury seaside villa whose life gets disrupted by the arrival of the owner’s son for a wild weekend; the documentary film Jeffrey by Yanillys Pérez—winner of the Dropbox Discovery Award at the Toronto Film Festival—about a 12-year-old windshield washer who dreams of becoming a famous reggaeton singer; and the documentary featurette Caribbean Fantasy by Johanné Gómez Terrero, winner of the Best Short Film Documentary at the Havana Film Festival, about the secret love between a boatman and a married evangelical woman on the banks of Santo Domingo’s Ozama River. Carlos A. Gutiérrez is co-founder and executive director of Cinema Tropical.